This new Genesis framework offering from CMSTF is a premium WordPress counseling theme offering the perfect balance of warm and cool tones, advances and straightforward functionality. As with all of our premium themes, this therapist WP website is designed to be easy to set up, and easy to manage. Unlike many theme sites, we include the full live demo install file for your convenience - so you can get your own site up and running just like our live demo in mere minutes. And from there, customization is a snap. 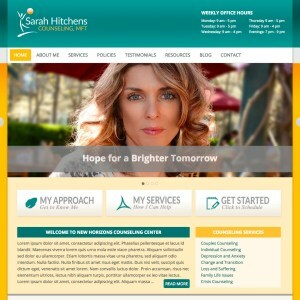 And just as importantly, this counselor’s theme offers an intuitive layout for your guests and returning clients, and is designed to display well on any web-ready device. So take your counseling practice to the next level, with this new premium therapy theme from CMSTF.